SANCTUARY Cove has unveiled plans to host an annual celebration of the great outdoors that is expected to attract up to 30,000 visitors. DELWP's Arthur Rylah Institute reveals game changing research around a key method for conducting fish surveys. RESULTS from the latest snapper surveys in Victoria are now out! THE first striped marlin recapture for the season was reported on February 20, 2019, by Steve Agius fishing south of Eden, NSW. A BULL shark tagged in northern Queensland by keen land-based angler Marco Schmitz has been recaptured 1665 km south at the mouth of the Macleay River at South West Rocks, NSW. The Southern Sydney JD reef fires in autumn! CHECK out this school of kingies (yellowtail kingfish) filmed recently on the Southern Sydney 'JD' reef. 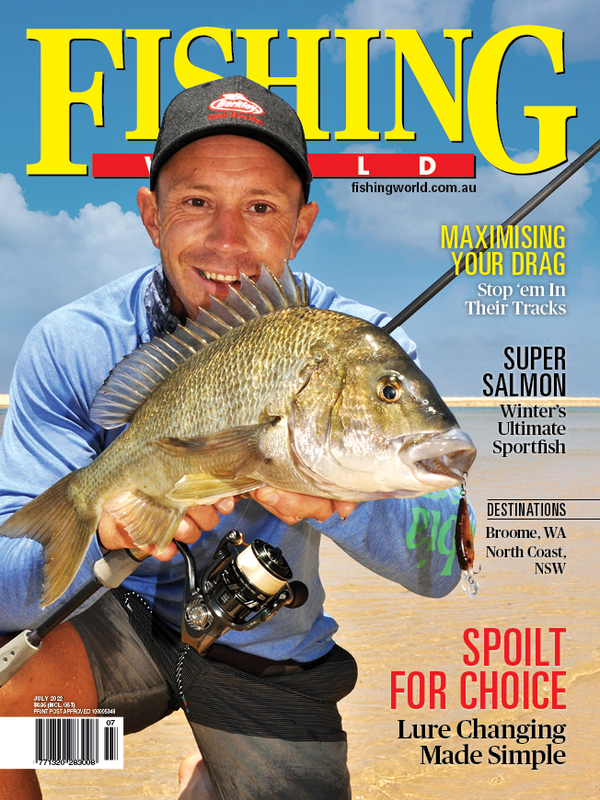 GoFish Nagambie only a few days away! WITH just a few days to go until GoFish Nagambie, organisers are urging participants to ensure they have downloaded the iCatch app prior to the event and learnt how it works. HUNDREDS of tagged yearling Atlantic salmon and rainbow trout have been released into Khancoban Pondage, in NSW’s alpine region, as part of a long-term stocking strategy to combat noxious redfin. THE Inland Waterways OzFish River Repair Bus is set to deliver more outcomes for the Macquarie River in NSW, with some major funding from BCF’s Give Back to Habitat Initiative. TENS of thousands of fishers are taking to the WA coast to try their luck at catching the mighty West Australian salmon this Easter. THE Port of Port Fairy board, in Victoria, will ask the local council to introduce by-laws banning the cleaning of fish within the port to reduce the injury risk posed by aggressive seals. TWO young anglers lit spot fires and scratched "HELP" into the mud after their utility became bogged during a fishing trip to the Keep River National Park in the Northern Territory. They were spotted by a police plane and rescued after 26 hours. A LUCKY angler in Victoria got a surprise when he hooked and landed a magnificent dolphinfish off Portland. AUSTRALIA'S peak recreational and commercial fishing bodies have reaffirmed their support of the Commonwealth Marine Park management plans ahead of this year’s Federal election. HUNDREDS of fish have died near a Ramsar-listed lake in eastern Victoria.